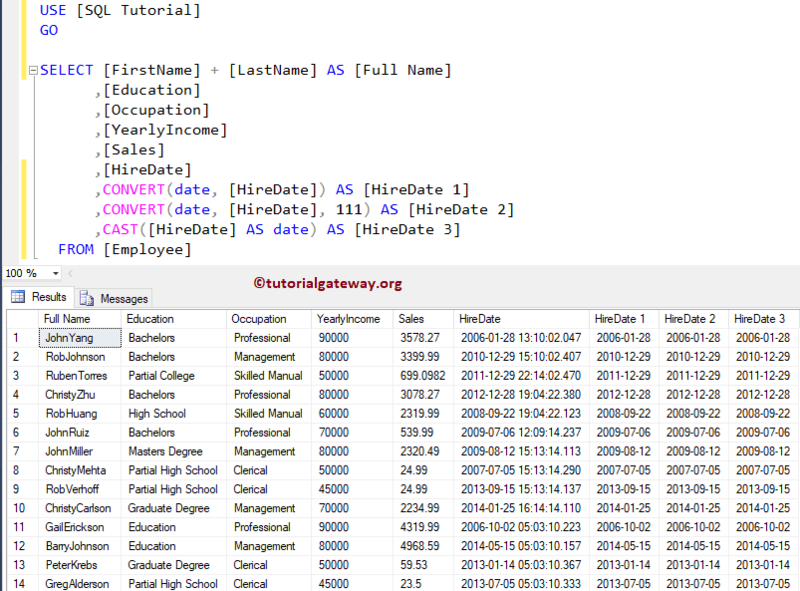 In this example first we are going to declare a datetime variable, and also use the GETDATE() function. 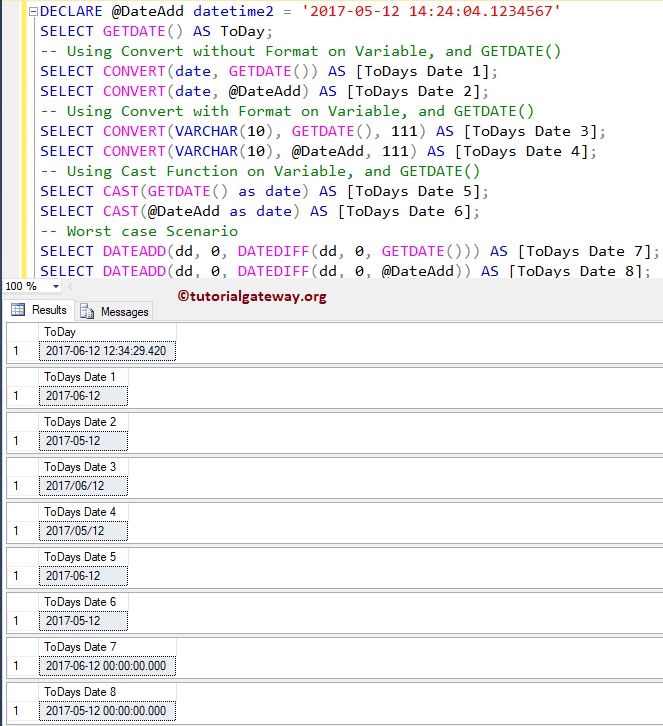 Next, we are going to use the CONVERT, CAST, DATEADD, and DATEPART functions to extract the date part only from a SQL server Datetime Datatype. 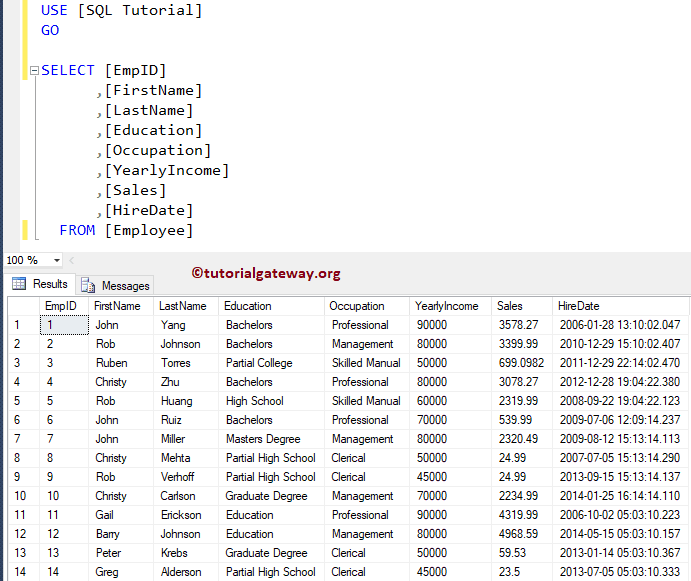 In this example we will extract the data part only from the Hire date column.